Researchers studied UK Biobank data to compare those taking cardiometabolic (CM) drugs alone with those taking CM drugs alongside pain medication. They found that those taking opiates had the worst CM profile, with a 95% increased chance of being obese. Despite a recent increase in prescriptions for non-cancer chronic pain, there is a lack of research into the long-term effects of chronic pain medication on cardiometabolic (CM) health. In PLoS One (6 December 2017), researchers studied UK Biobank data on 133,401 participants to compare those taking CM drugs alone (control group) with those taking CM drugs alongside pain medication. Those taking opiates had the worst CM profile, with a 95% increased chance of being obese, an 82% increased chance of having a ‘very high risk’ waist circumference and a 63% increased chance of hypertension compared with those taking CM drugs alone. The researchers suggested this could be because the sedative effect of pain medication reduces physical activity. These poor metabolic outcomes were also more common in people taking neuropathic pain medication compared with controls. The team said the findings raise questions about the safety of these drugs and suggested they should be prescribed for shorter periods of time than in current practice. Cassidy S, Trenell MI, Anderson KN. The cardio-metabolic impact of taking commonly prescribed analgesic drugs in 133,401 UK Biobank participants. PloS One 2017;12:e0187982. well, I think this is an alarming situation, which needs to be sorted ASAP. 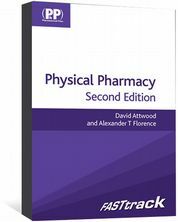 A revision book for students giving bullet points of basic information on physical pharmacy. Includes memory maps, questions and answers to aid revision. 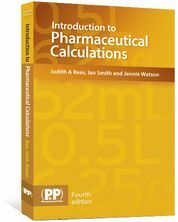 Introduction to Pharmaceutical Calculations is an essential study aid for pharmacy students. The book contains worked examples and sample questions and answers. 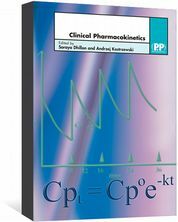 A practical guide to the use of pharmacokinetic principles in clinical practice. 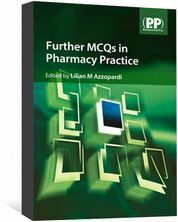 Includes case studies with questions and answers. 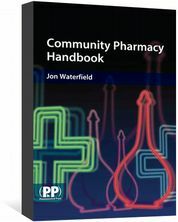 Community Pharmacy Handbook is a survival guide for community pharmacists and students, answering your practical questions. Includes case studies.